Everyone is welcome to the Library's on-going Genealogy Club. Periodic guest speakers and helpful group discussion. 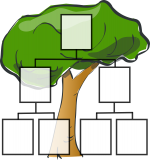 Newcomers to genealogy and experienced researchers share thoughts and suggestions.